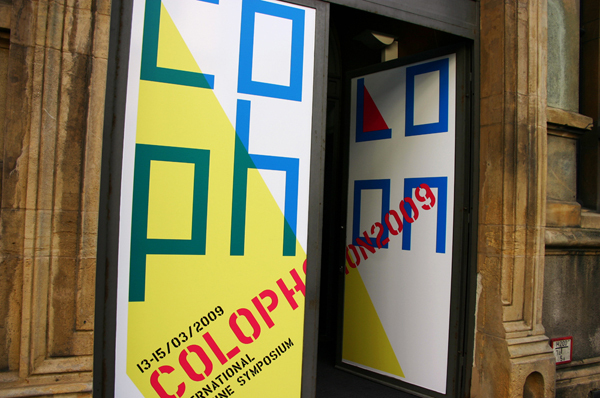 The second edition of Colophon took place in Luxembourg from the 13-15th March 2009. Casino Luxembourg, a museum was chosen as the main venue for Colophon. Colophon’s programs included lectures and discussions between key players within the independent magazine industry such as magazine editors, photographers, designers, and illustrators. In fact, I joined the presentation at the portfolio market, and had an opportunity to look through Colophon. Here, I would like to share it with Shift readers. The visual history of independent magazines in Europe from the 1960s onwards. “some of these relationships.” By Simon Esterson (UK). 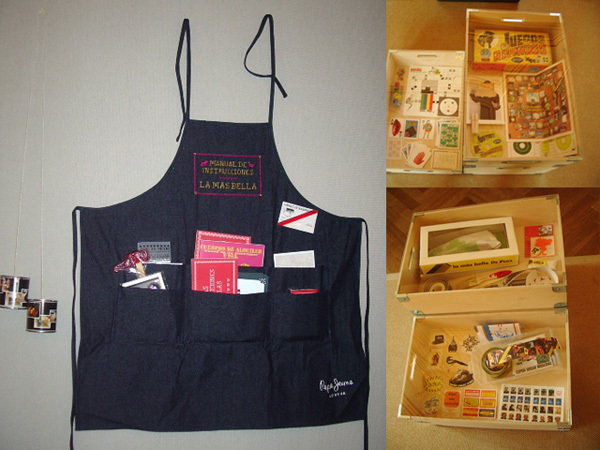 La Mas Bela is an artist duo that has been making magazines using a different format each time. For example, they exhibited a magazine in a Gacha capsule. Gacha is capsule toy sold by GACHA vending machine. There was a question about how they are funded. They said they get funding from some friend and have not been losing financially. When she gets questions from the audience she replied back saying, “You may be going to write an article.” It was aggressive and memorable. High style magazine from Berlin. The history of O32C. O32C collaborated with many contemporary artists. When O32C worked with Thomas Demand, Demand asked O32C to get a Porsche car for his work. The editor looked for the car from whole Berlin. When they finally saw the finished work on the magazine, they only saw a part of the Porsche. O32C thought they might have done what they did not need to do but, O32C also said the process was important. An established architecture magazine. The presentation on how onlab worked on the renewal of the magazine. It needed enormous research and in-depth planning. Seeing Magazine’s flow as a musical score, mixing different pages together and making origami shapes with magazine pages, I saw they are enjoying challenges with great concern for fun. A lecture on typography. Harmsen works with political works and a project that he composes BGM to fonts. At the beginning of lecture, Harmsen used sound and visual samples he recorded at Shibuya 109 in Tokyo, Shibuya. The exhibition on a magazine featuring a lot of artists. A bookstore. A lecture was also given. 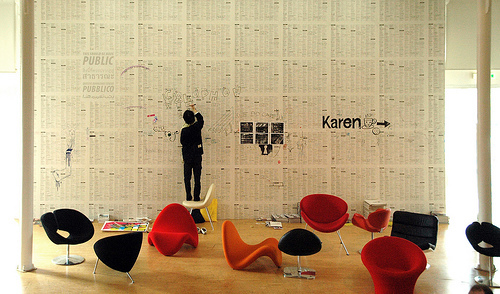 An exhibition of magazines in a contemporary art museum. Fanzines, books, and magazines from all over the world. Parties and events were organized daily. From the end of print, the numbers of magazine copies printed continued to grow by 2008; however, from 2008 it tends to decline. I participated in the portfolio market for illustrators. I was the only Japanese illustrator in the market. I had many good feedbacks from magazine editors and designers. I used to know that magazine has many styles, formats and types. However, by attending Colophon and participating in the market, I learned a lot about the diversity of the magazine industry and culture. When someone wants to communicate something to others, he/she can do so by making a magazine that is tangible, and circulate it by using a network. I strongly felt that anyone can make a magazine from a tiny idea with strong passion and interest.